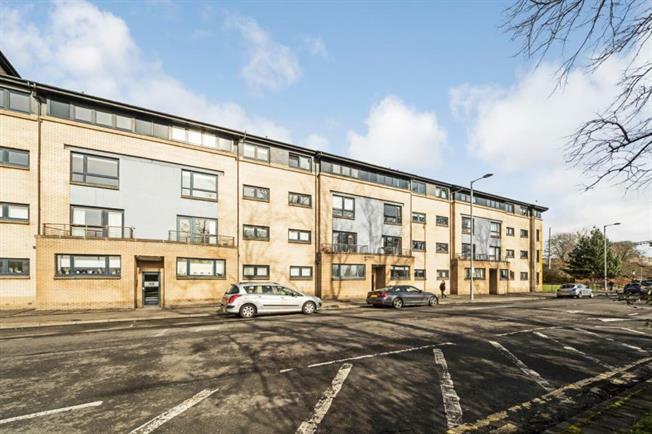 2 Bedroom Upper Floor Flat For Sale in Glasgow for Offers Over £180,000. An immaculately presented modern luxury third floor flat within acclaimed development built by Messrs Westpoint Homes. The stylish accommodation comprises security entry, communal entrance hall, welcoming reception hallway with storage off and hatch to loft space, a lovely principal lounge with views to the River Clyde, modern fitted breakfasting kitchen with integrated appliances, master bedroom with en-suite shower room, additional second double bedroom and a contemporary bathroom. In addition the property has gas central heating, double glazing, neutral decor and private residents' car parking. Beith Street is ideally located for amenities both on Byres Road and Dumbarton Road which offers an extensive array of social and recreational opportunities whilst there are excellent public transport routes via bus, rail and underground. Easy access to the M8 motorway network, Clydeside Expressway and Clyde Tunnel.